On Tuesday the VA reported that the disability compensation claims backlog1 increased by more than 2,000 claims, while the total number of claims only decreased by about 1,200. There are currently more than 127,000 veterans in the backlog, meaning that they have been waiting for a claim decision for more than 125 days. 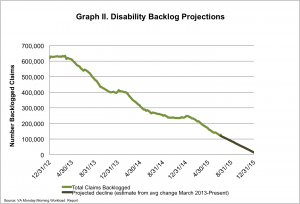 Those in the backlog make up more than 33% of the total number of claims. 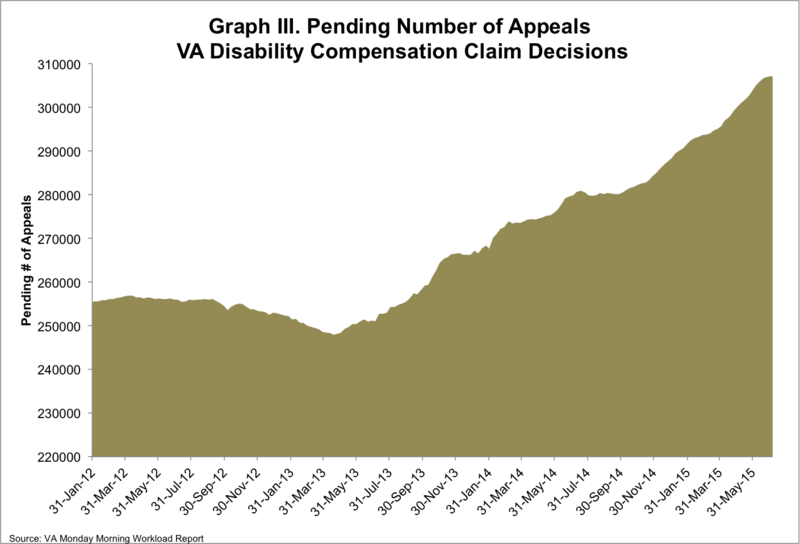 Overall, there are more than 383,000 veterans waiting on disability compensation claim decisions. 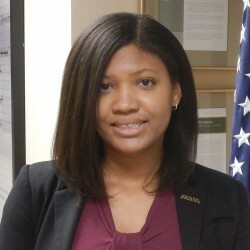 To meet the deadline to end the VA backlog by the end of FY 2015, the VA must reduce the backlog by at least 3,031 claims per week. While the VA has made progress, reducing the backlog by almost 80% since March 2013, this week progress was slowed. 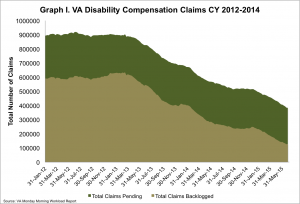 Since that same time, the VA has processed 4,186 claims per week on average. 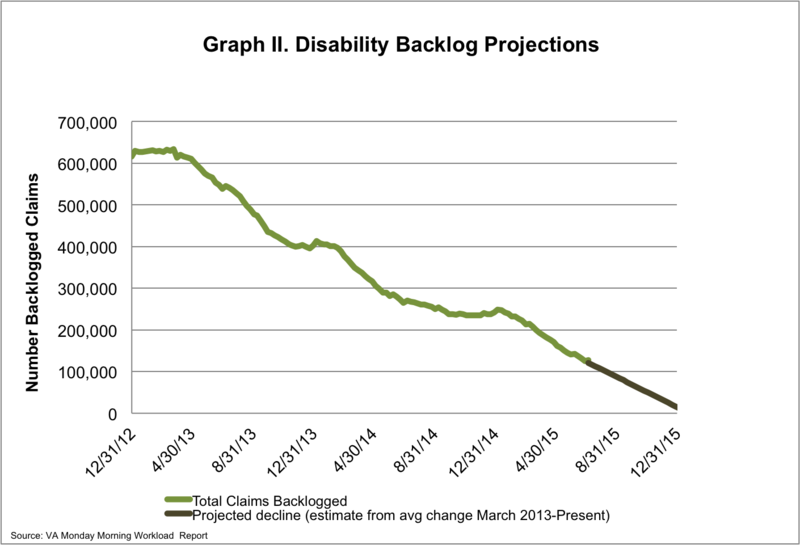 If this rate of progress continues, they will be on track to eliminate the current backlog by the end of FY 2015. However, if progress continues to slow and a substantial number of veterans submit new claims, this may not be enough momentum to meet their goal. 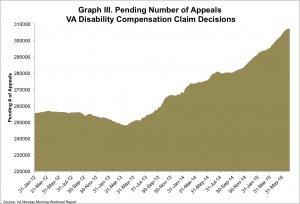 The VA will also need to improve their progress on disability claim appeals, which now stand at a high of more than 307,000 claims.